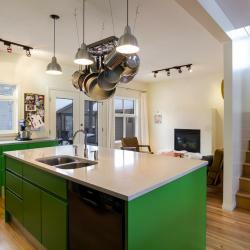 This row house is right on a park and the owners wanted to bring the green into the great room. 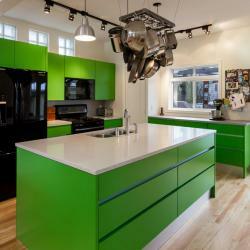 Modern and serene. 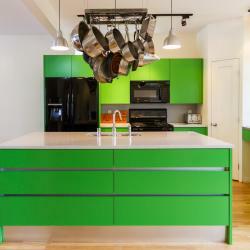 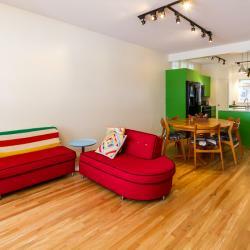 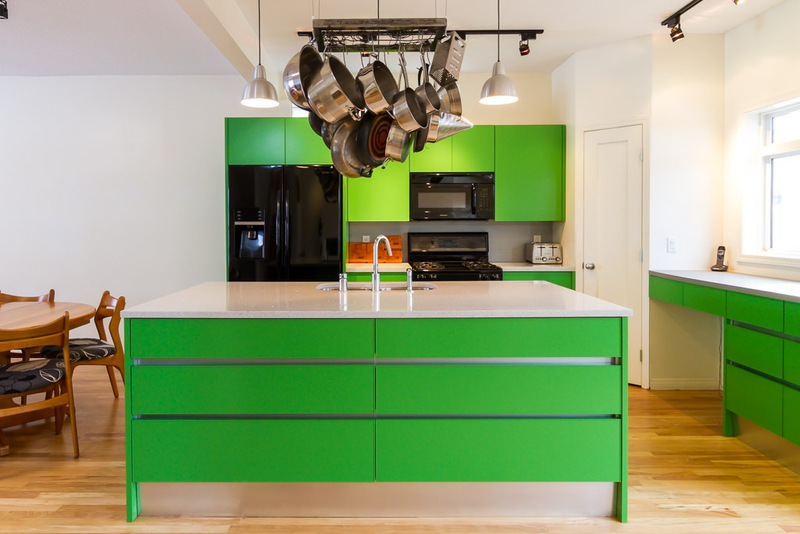 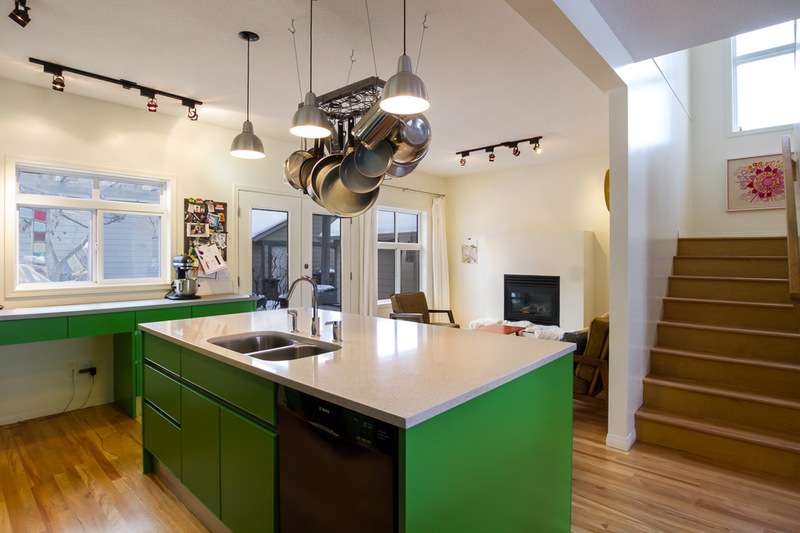 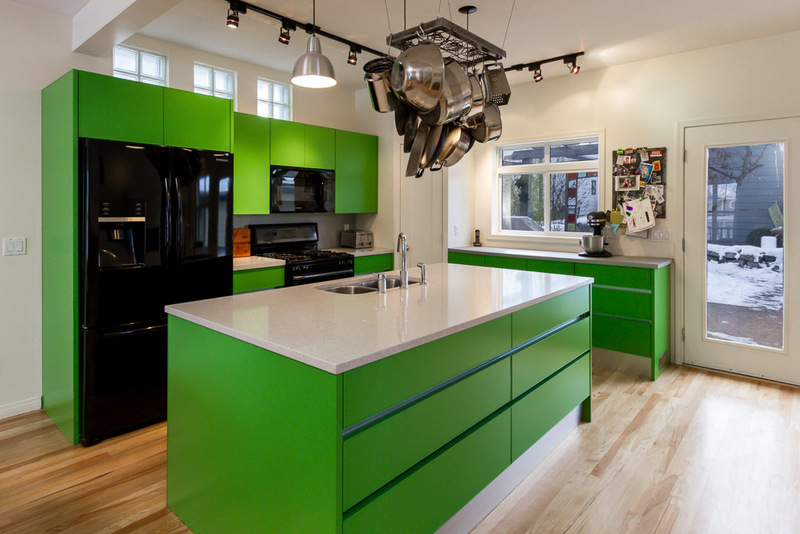 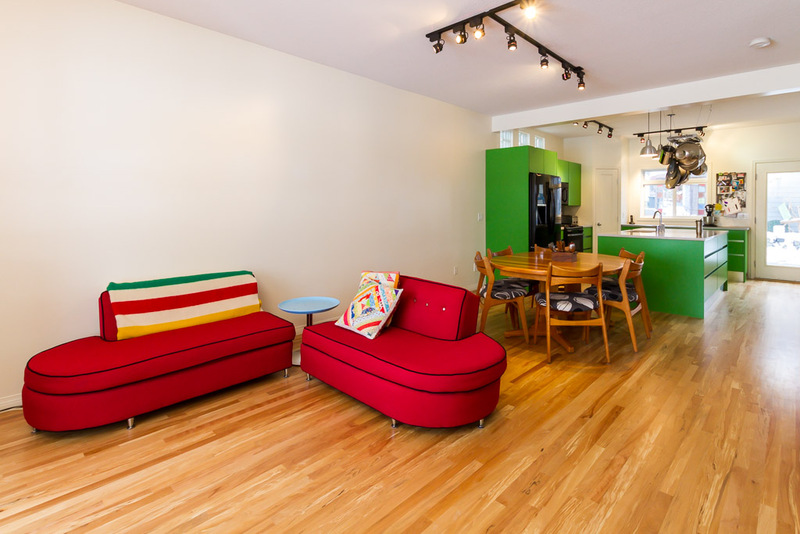 It has a built-in office area on one side, a large island with drawers on either side, and a bold and amazing colour!